This entry was posted in This week and tagged Cannon Hill Parkrun, Parkrun, Strava, training. Bookmark the permalink. Sixty-one miles? How did you not get a cold?? Maybe that’s just me. 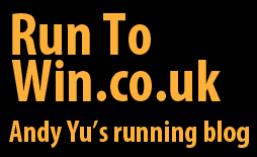 Also kudos for running on VLM day – I gave that up as the comments are too annoying! My week before was very low mileage due to being in Hong Kong – only 11 miles. My normal weekly mileage is about 50-55 miles, so I was just about able to pull it off. Wouldn’t have risked more, though!